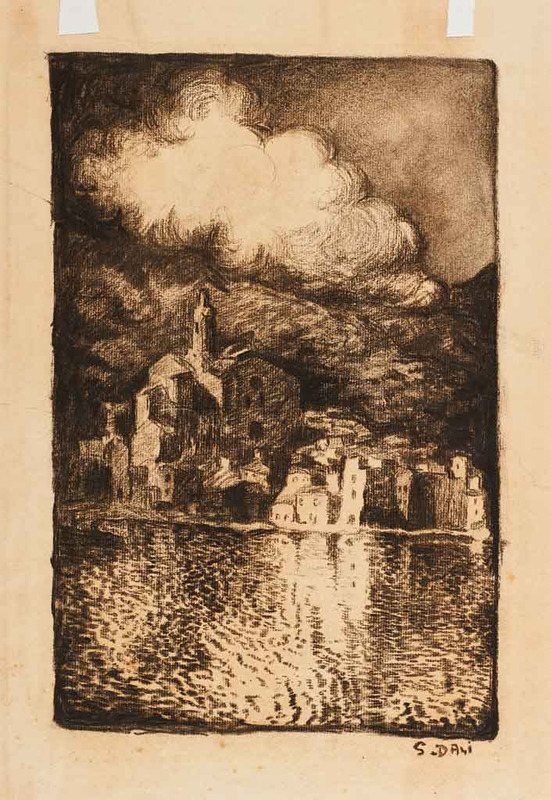 The advanced skill of the young artist is revealed in Cadaques (1917-18), an academic charcoal drawing of the Spanish seaside village frequented by Dali’s family during the summers. The Santa Maria de Cadaques Church occupying a prominent position in both the composition and the village itself. Dali’s drawings became more sophisticated during his studies at the Real Academia de San Fernando in Madrid, where he developed a firm grasp of form, contour and proportion. With a vivid imagination and consummate skill at drawing, Dali was especially adept at producing numerous sketches, studies and fully realized drawings during his fertile surrealist period. 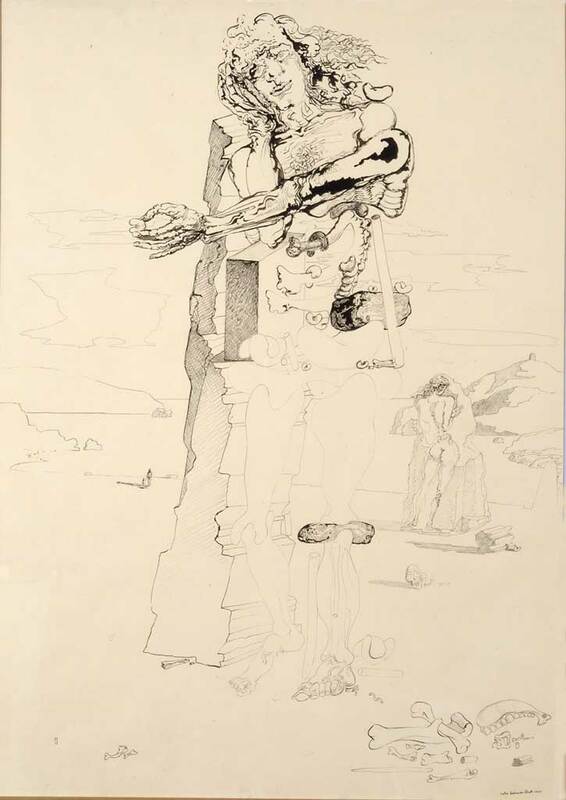 In the composition of Surrealist Figure in Landscape of Port Lligat (1933), an androgynous figure is leaning against a block structure conveying an eeriness of a phantom and specter, both objects of terror to Dali. The head seems to portray the qualities of a female with ambivalent features, while the upper torso portrays a male figure with chest hair. A bony, decomposing outstretched arm holds a small bean, and bones litter the landscape. The legs and feet are ghost like in appearance, as the figure joins the stone structure that supports it. Further in the distance, to the right is a hill with a mill tower that connects the scene to Dali’s home in Port Lligat. 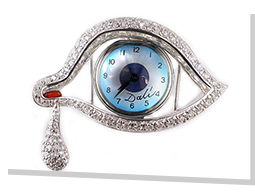 Dali produced illustrations for books, promotional posters and newspapers beginning as a young art student. The Nostalgic Echo (1935) is actually an illustration for the frontispiece of Nuits Partagees (Shared Nights), a volume of poetry by Paul Eluard, the surrealist poet and former husband of Dali’s wife Gala. 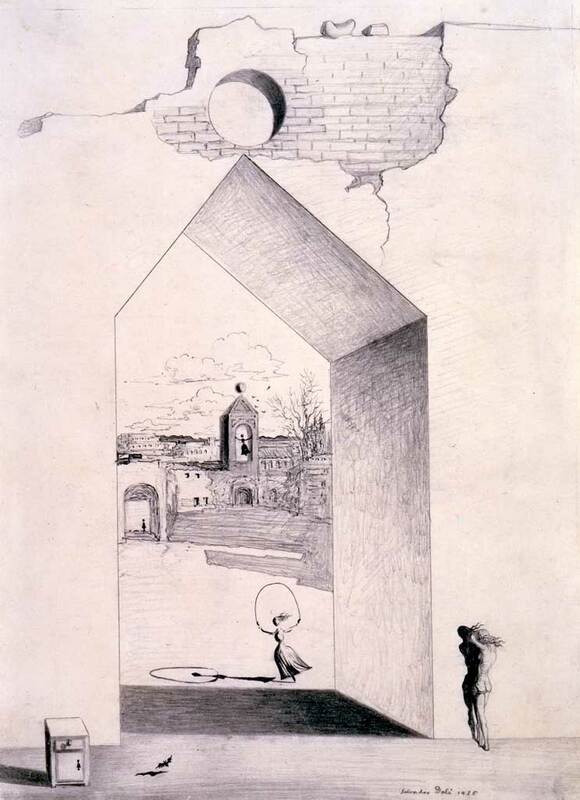 Dali focuses on the repeated shapes of the girl skipping rope that mimic the bell tower, and he adds the image of the nightstand with its keyhole echoed in the distant archway with figure. 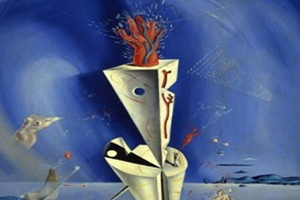 The use of “nostalgic” in the study title is a reference to the source image of the bell: It is from the chapel of the girls’ school that Dali’s younger sister, Ana Maria, attended in Figueres, Spain. 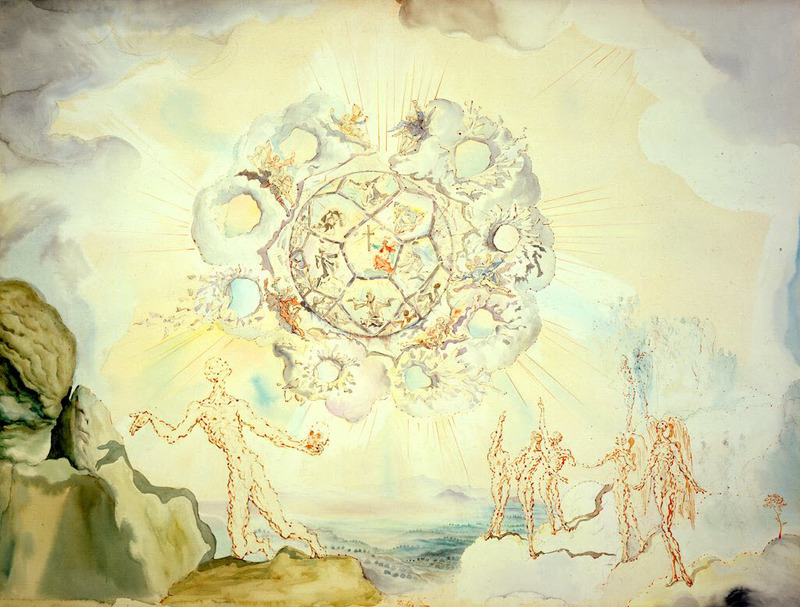 In 1941, Dali expressed his desire “to become classic.” Dali states in his autobiography, The Secret Life of Salvador Dali, that he had a new goal for his art, “to render the experience of my life ‘classic,’ to endow it with a form, a cosmogony, a synthesis, an architecture of eternity.” Dali’s dramatic composition, Cosmic Contemplation, a large watercolor created in 1951, demonstrates his appreciation of classical drawing, Catholicism, sacred geometry and an interest in atomic science. Here the artist focuses our attention to the celestial sky composed of a large central cloud in the shape of a dodecahedron. Within each pentagon that makes up this shape appear visions of saints and angels projected in an ecstasy. The cloud itself seems to burst through with holes in fragmentation in a type of heavenly explosion. The figures of men and angels on the surrounding mountainsides above a valley point to the spectacle in the firmament. The selections on exhibit demonstrate the varying subjects that interested him at different points in his career. The Museum owns over 150 drawings and watercolors, which periodically rotate to give our visitors a continuing retrospective of Dali’s works. Join us for costumes, cocktails & dancing at the year’s most surreal soiree.